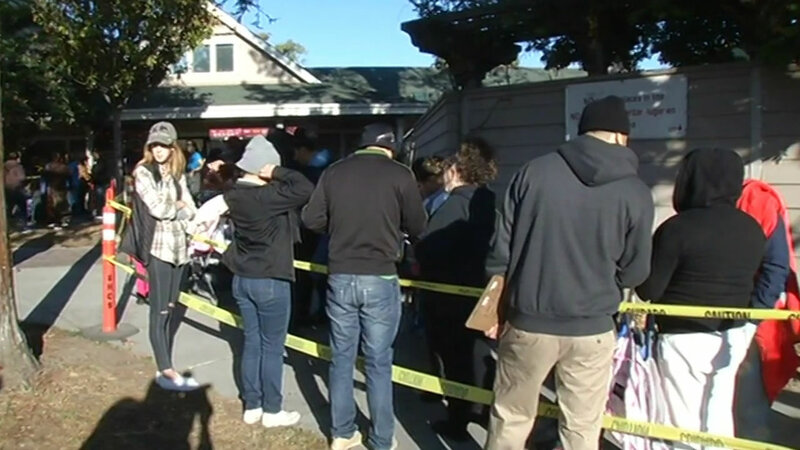 SAN JOSE, Calif. (KGO) -- Thanksgiving is just 20 days away and on Friday morning, a South Bay charity made sure thousands of families will receive everything they need for a complete holiday dinner. Families braved the early morning chill, camping out overnight at Sacred Heart Community Service in San Jose to sign up for food boxes. They'll receive one for Thanksgiving and another for Christmas. Sacred Heart will be helping 7,200 families for the holidays. "We are anticipating serving more children this year with our toy program. So this year we are going to give toys for 6,000 kids, so 18,000 toys this year," Sacred Heart's Jill Mitch said. This is all possible through community donations. If you'd like to give, there's still a need for 4,000 turkeys for Thanksgiving. Click here if you'd like to donate to Sacred Heart.